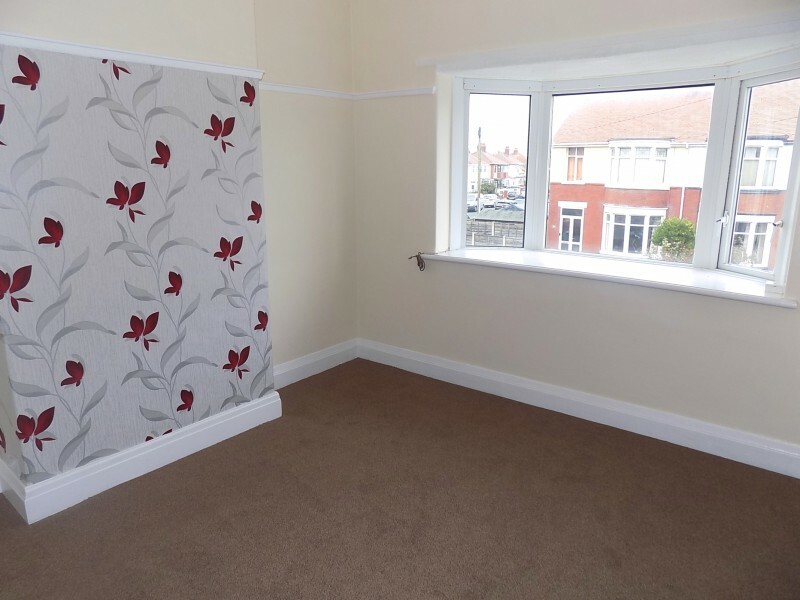 Newly refurbished one bedroomed first floor flat close to the centre of Cleveleys. Just a short walk to the newly developed promenade and seafront area. 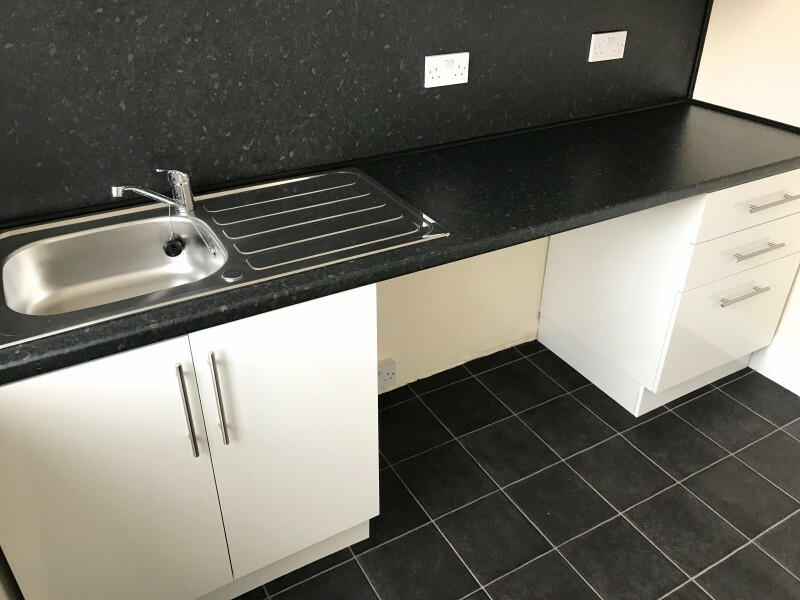 With a new kitchen and bathroom, freshly decorated throughout and new floor coverings. 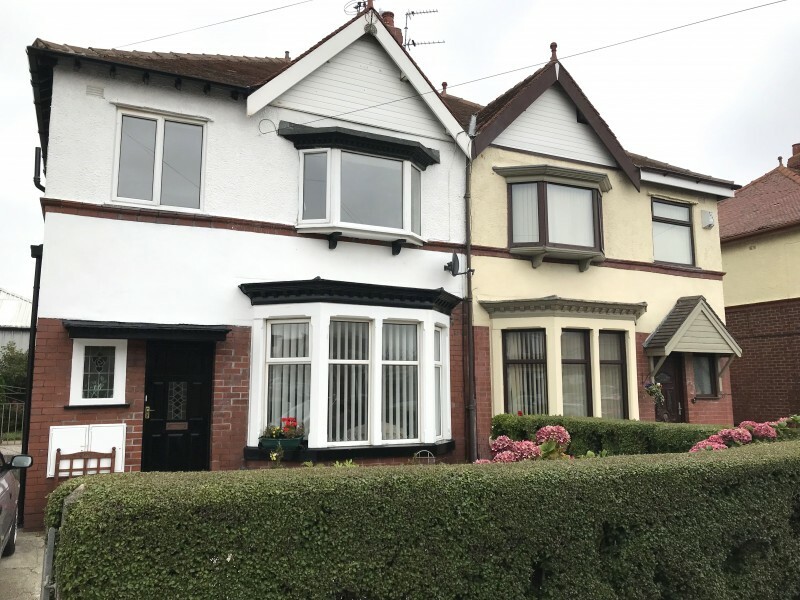 An ideal first time buy or retirement property in a desirable area. Viewing comes highly recommended to appreciate this pleasant flat. Communal Entrance Porch. 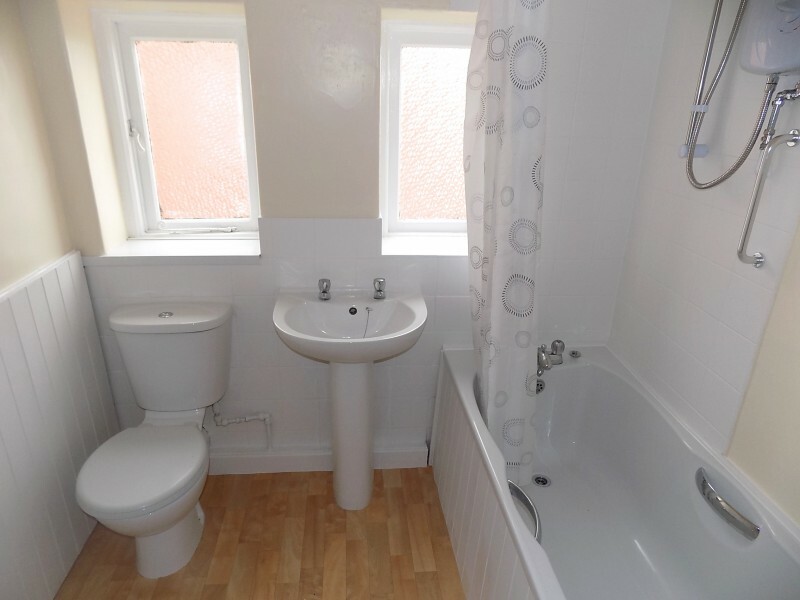 Shared with the ground floor flat. First Floor Landing. Window to side, storage heater. Lounge. 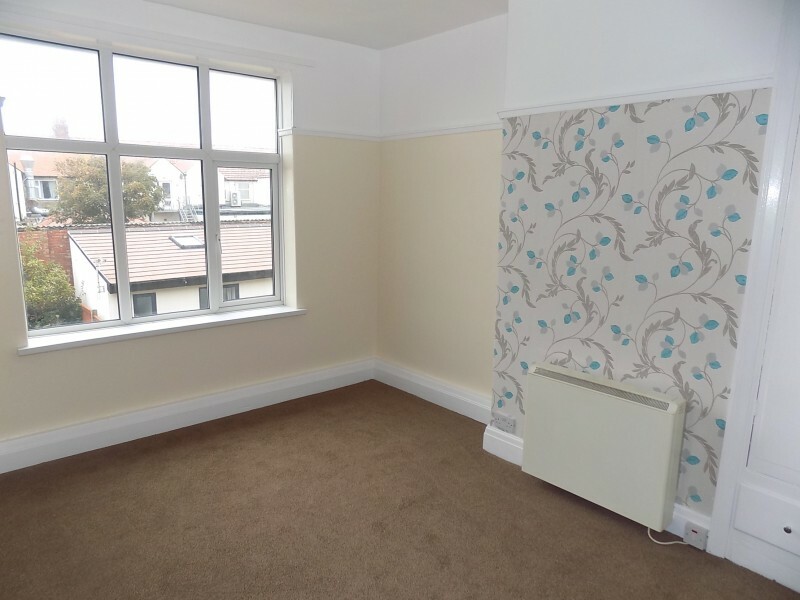 3.70m x 3.58m, UPVC Double glazed bay window to front, storage heater, new carpets. Kitchen. 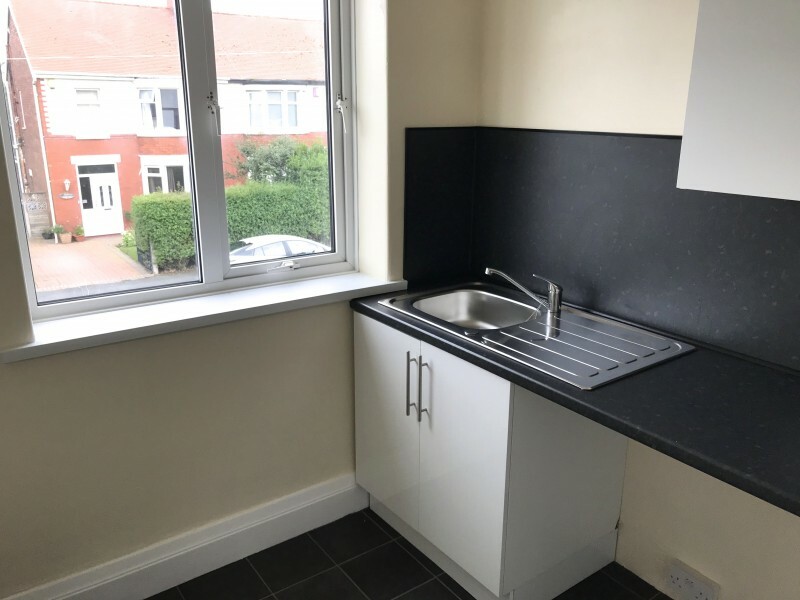 2.43m x 2.11m, UPVC Double glazed window to front, wall mounted heater, range of new wall and base units, stainless steel sink unit, new vinyl floor covering. Bedroom. 4.06m x 3.37m, UPVC Double glazed window to rear, storage heater, built in wardrobes, new carpets. Bathroom. 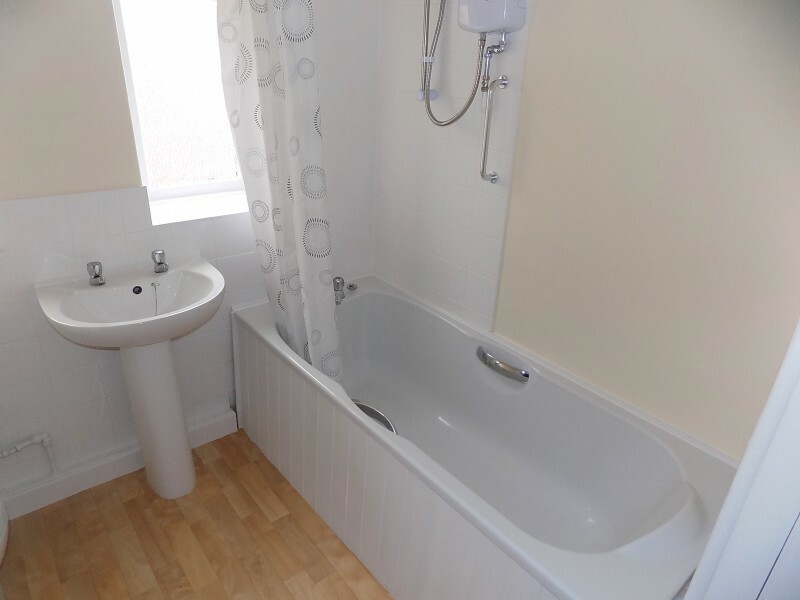 2.37m x 2.04m, 2 x windows to side, new bathroom suite comprising of bath with over bath shower, WC and wash hand basin, new vinyl floor covering.